When it comes to the attractions at Walt Disney World, especially at the Magic Kingdom, there are few rides that compare with the excitement we get when we ride Peter Pans Flight, which is located in Fantasyland. With Peter Pans Flight, you get it all — a great trip into the classic story of Peter Pan, your own flying galleon to sail off into the night sky with, and a swashbuckling adventure! It always amazes me that the Imagineers were able to make such a realistic attraction. From the moment you take off, the use of forced perspective makes it seem as if you are truly flying! Of course, the Imagineers did create the ride so that your galleon is suspended from a track over your head, which certainly does make it easier to feel like you are flying! 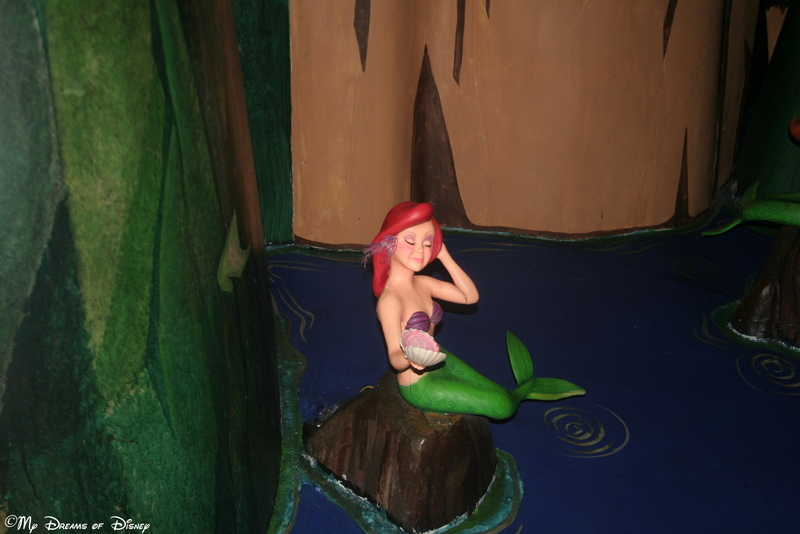 Disney did a great job with this attraction because you are able to navigate through several different scenes in the story, including the one that includes the mermaids! Peter Pan is a crowd favorite at Walt Disney World, that’s for sure! Fortunately, there are fast pass tickets available, but they do go fast, so make sure you grab yours or you’ll be waiting until 10PM to ride the attraction! One thing I am hopeful will make a difference is that the folks at Disney are redoing the queue area for Peter Pans Flight. They are turning it into an interactive queue is what I’ve heard, so hopefully that will help with some of the line issues they have experienced with the attraction. Peter Pans Flight is a family favorite of ours, so much so that my wife Cindy indicated that it would be one of the things she would do if she had an extra three hours in the park by herself — she would ride Peter Pans Flight with Peter Pan himself! 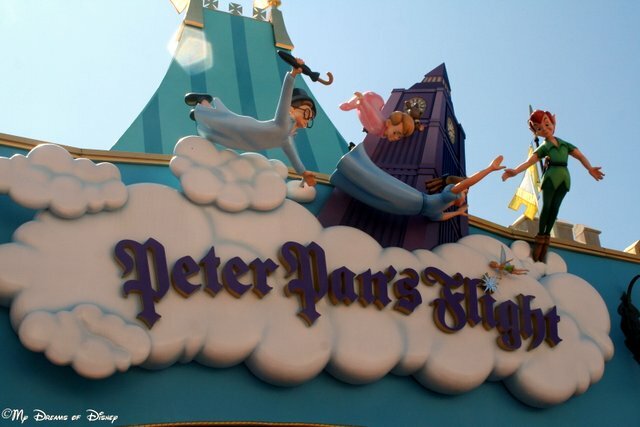 What does your family think of Peter Pans Flight? Why not let me know in the comments, and thanks for stopping by today! Peter Pan’s Flight is our family’s favorite ride!! It’s always the first ride of our Magic Kingdom day. We love it so much that, even though we ride it immediately after rope drop, we always fastpass it for later in the day. My toddler loves when the CM sprinkles pixie dust on our boat. She claps her little hands and says, “Yay…here we go!” I’ll really miss that when she’s older! Peter Pan’s Flight will always hold a special place in my heart!! I really don’t know what it is about Peter Pan’s Flight that makes it so magical, but it definitely is! It was my little one’s favorite movie and favorite ride from the time he was about 16 months old. He was a BIG Captain Hook fan! Now he’s 7 and graduated to Captain Jack Sparrow, but there is always time to wait for Peter Pan’s Flight every time we go to WDW! The line is NEVER too long for us! I was so bummed this was closed when we were there last month. It is a classic and I hope they never change it (except the que, they can make that a lot better and hopefully they did with the refurb). Next Post: What can you find on My Dreams of Disney?